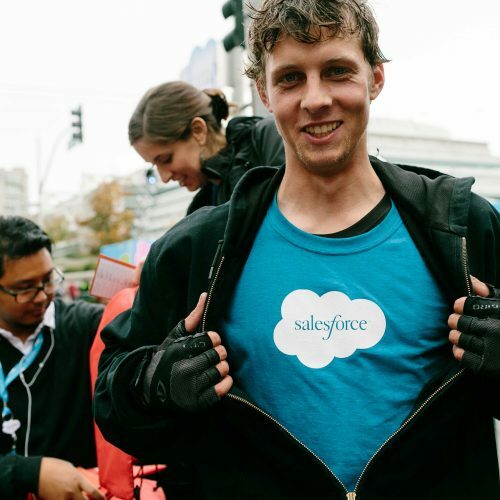 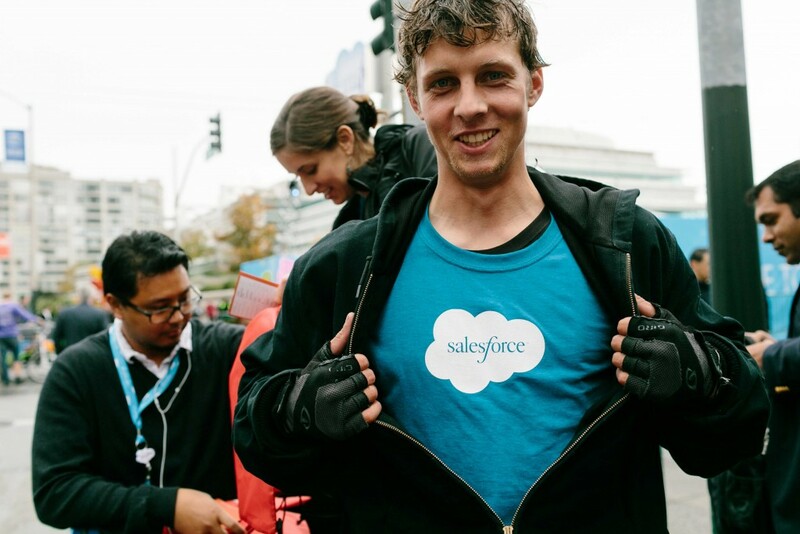 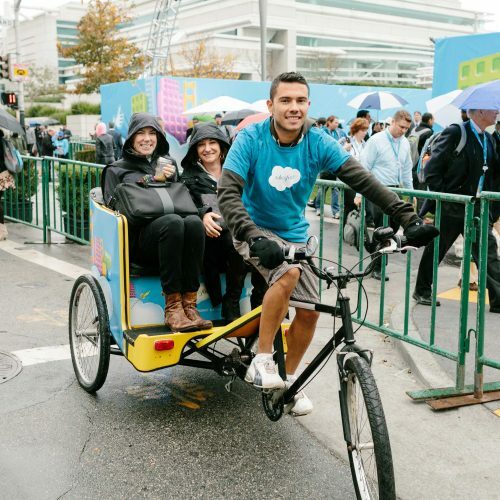 Dreamforce 2013 drew more than 60,000 visitors to San Francisco over four days in November 2013. 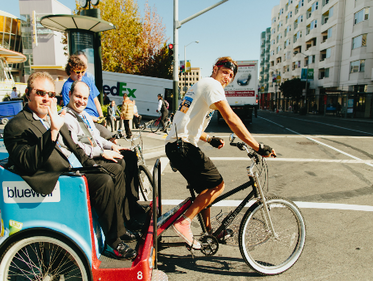 Most were staying at hotels several blocks away from Moscone Center while others only attended for just one day. 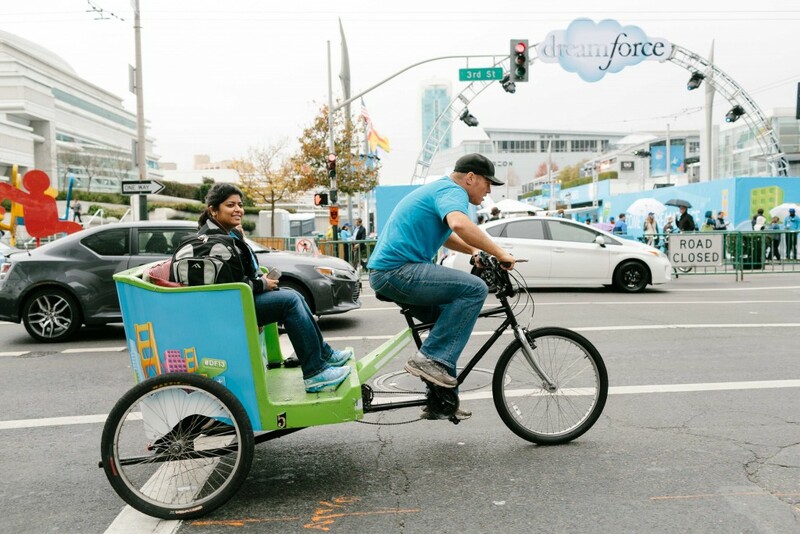 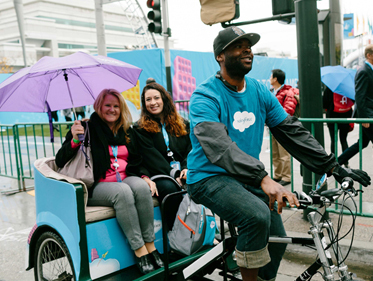 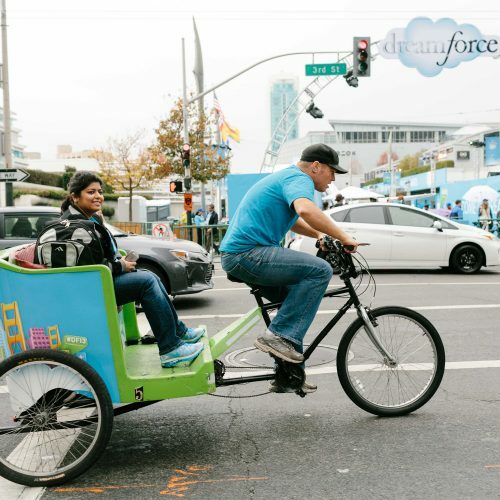 52 branded pedicabs were provided by Dreamforce and other sponsors to usher conference attendees around downtown San Francisco. 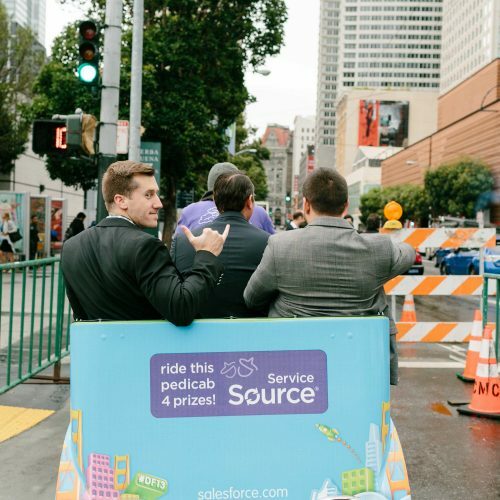 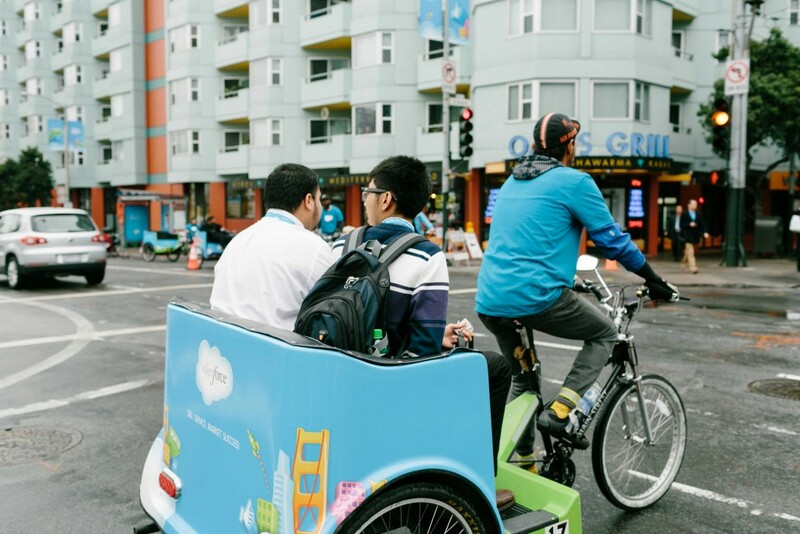 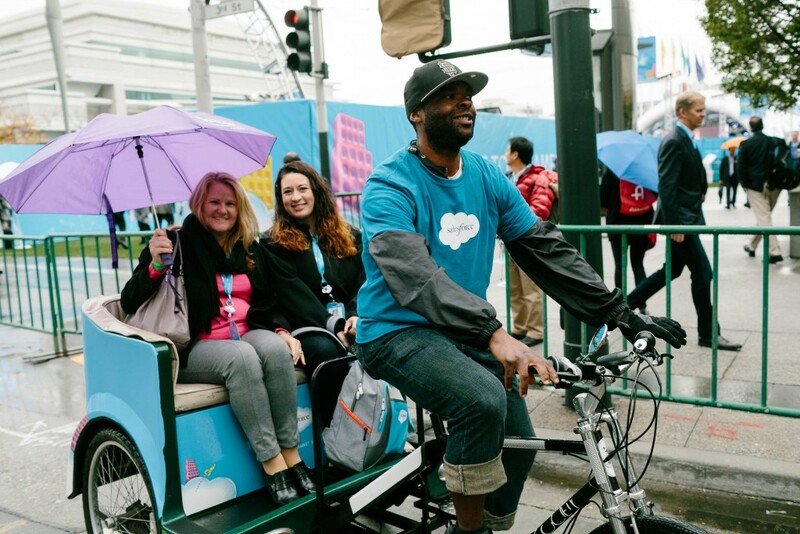 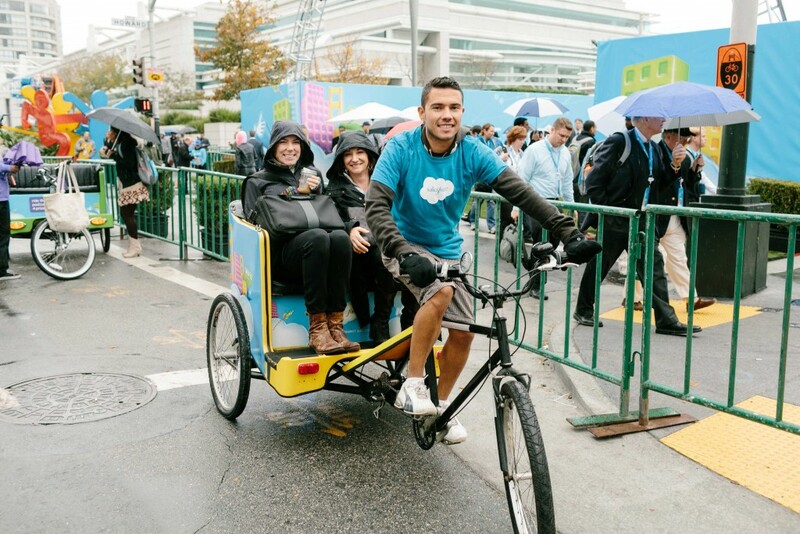 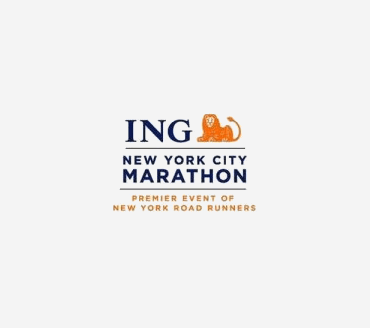 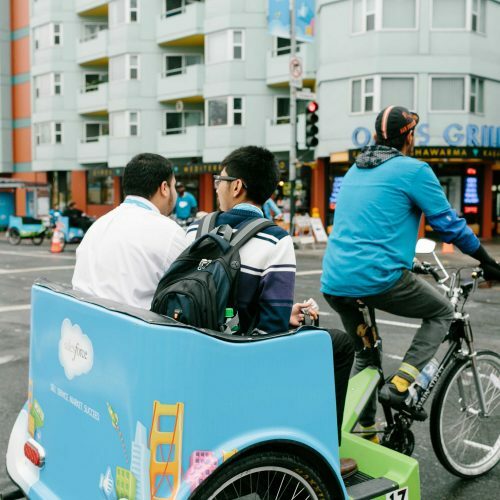 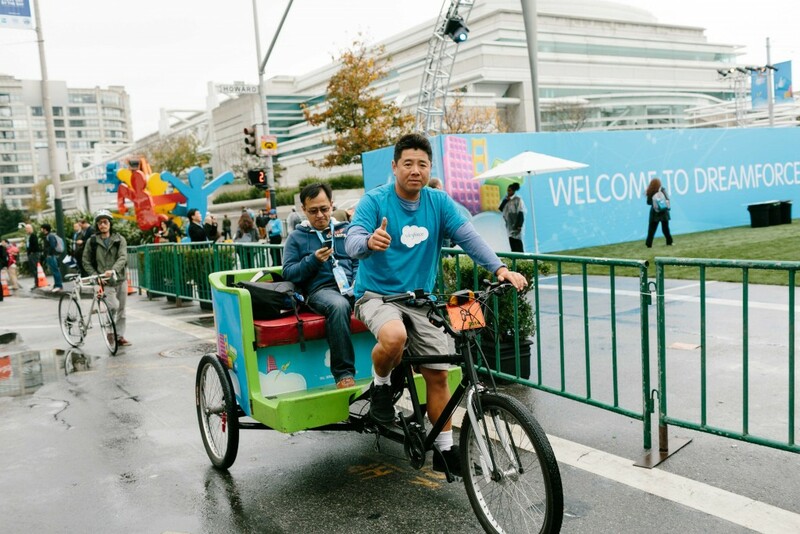 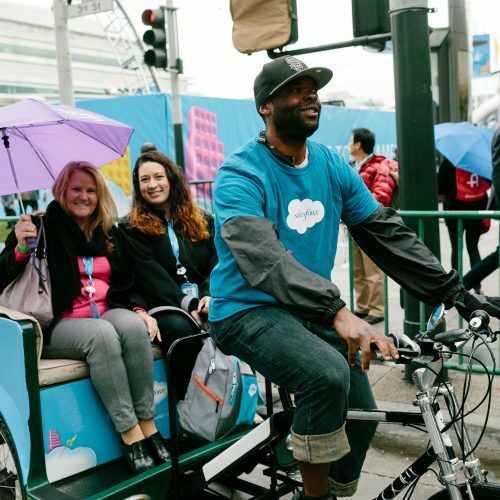 Advertising wraps were installed on 52 pedicabs, drivers were wearing blue Salesforce T-shirts, and instructed to provide rides specifically for event attendees. 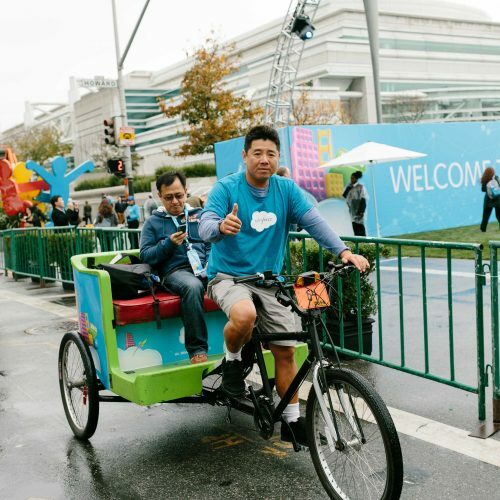 There was no typical ride, some pedicab drivers shuttled attendees to and from Moscone while others shuttled between hotels around Union Square. 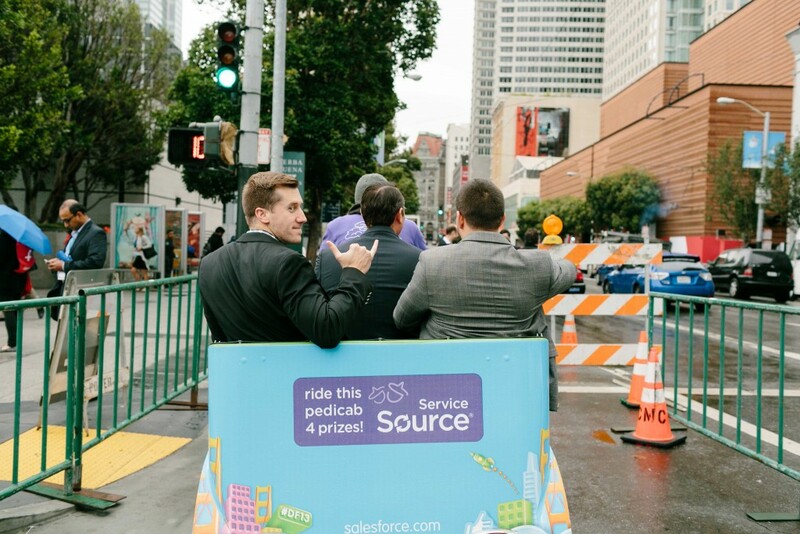 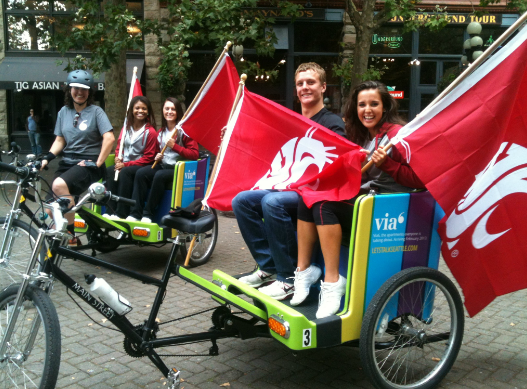 Many attendees were on a schedule and appreciated the swiftness of the pedicabs to ensure a timely arrival to their next conference destination. 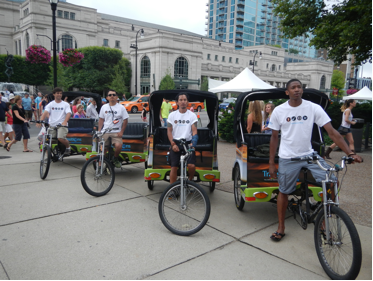 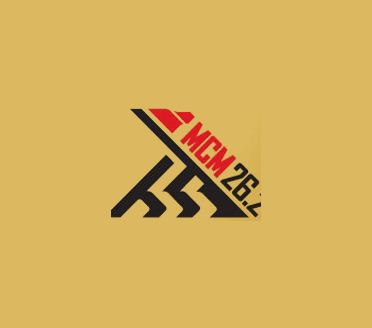 52 fully wrapped pedicabs, complimentary rides given, drivers branded and also acted as Brand Ambassadors for the sponsors of the event.